This restroom trailer is one step up from our standard 3 stall bathroom trailer. 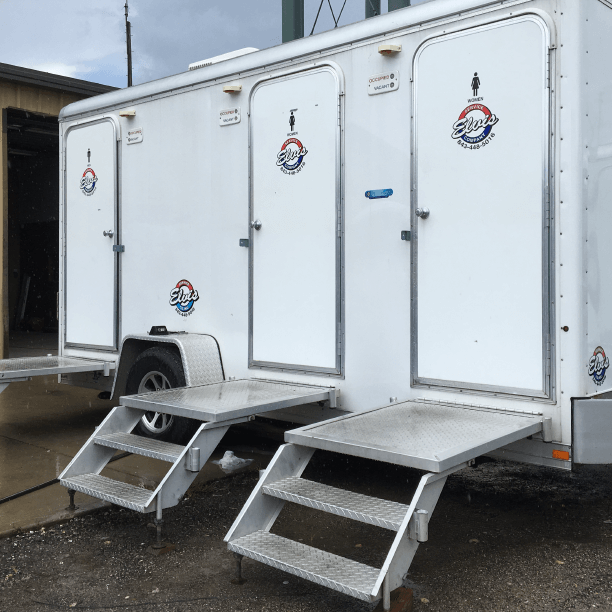 This deluxe portapotty boasts the same layout as both the standard and the elite portajohn trailers. The difference is the interior color and materials. Our deluxe model restroom trailer maintains high quality and durable materials while displaying a sense of your bathroom at home! 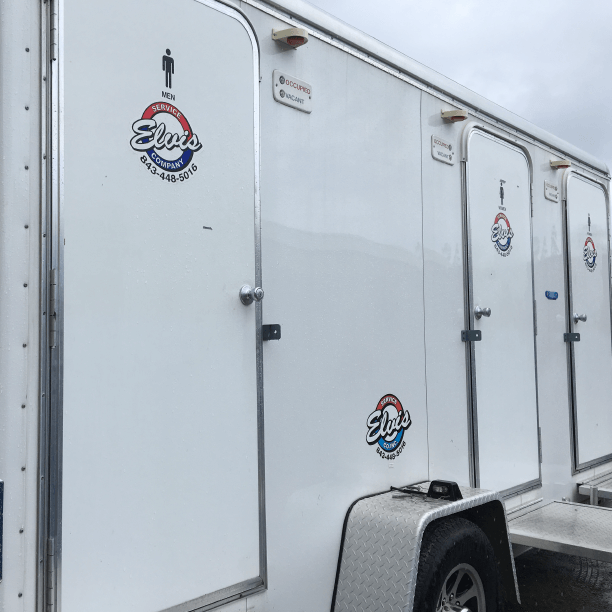 The deluxe restroom trailer pricing will depend upon how long you are looking to rent the trailer and where your event will located. Do you want a luxury restroom trailer for your event or weddings? Our VIP bathroom trailers can suit your need of true royal potty services. These temporary restrooms can typically provide service to several hundred people for a few hours before needing pump service. We rent our deluxe trailer to weddings and events in Myrtlte Beach, SC Charleston, SC Florence, SC and Wilmington, NC. If you are interested in rental prices for our deluxe portapotty trailer please call us at 843-448-5016 or fill out an online request form.